Renee & Andrew were married at St Monica’s Catholic Church in Moonee Ponds before heading to Lakeside Receptions for their dinner. They drove into the City for their photos enjoying a beautiful Autumn day. 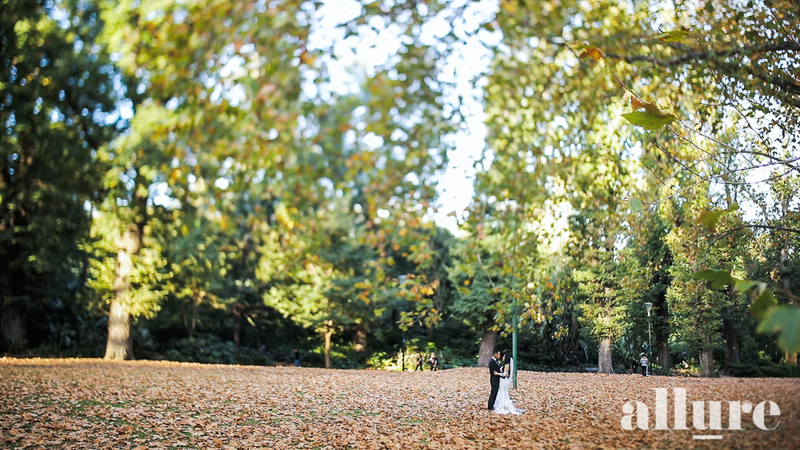 Golden leaves scattering the Fitzroy Gardens made it their play ground for a leaf fight as plenty of laughter was shared. These guys are wonderfully suited to each other. A unity that joins two families also. We wish them both the happiest of lives together as husband and wife.